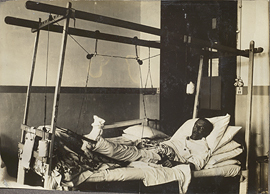 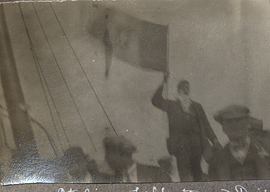 Man holding flag on ship, photograph. 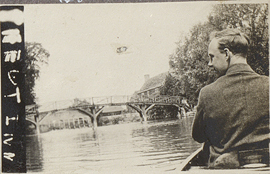 Man in boat on River Thames, photograph. 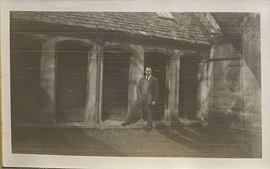 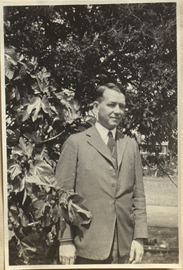 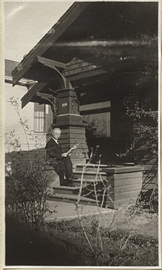 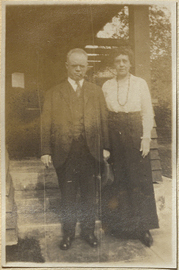 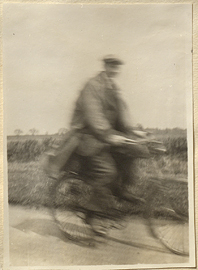 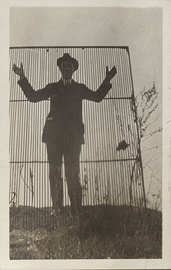 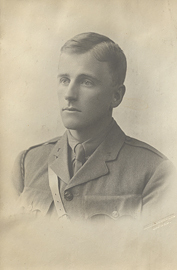 Man in Front of a House, photograph. 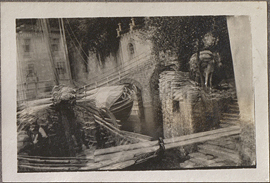 Man in gondola casting off port on Lake Como, photograph. 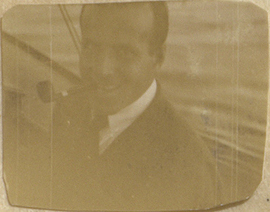 Man on a Sail Boat, photograph. 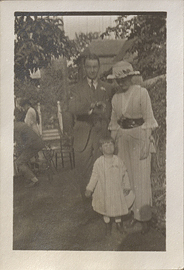 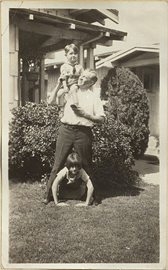 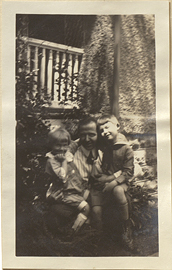 Man with Boy and Girl, photograph.